The Policy Department was busy this issue! With a new provincial government, we cover the Speech from the Throne, introduce the new Provincial Cabinet, profile the new Minister of Indigenous and Municipal Relations, former AMM Vice President Eileen Clarke, and recap the Fair Share Fair Say campaign. “People just expect good water when they turn on the tap,” says City of Portage la Prairie Councillor Wayne Wall. 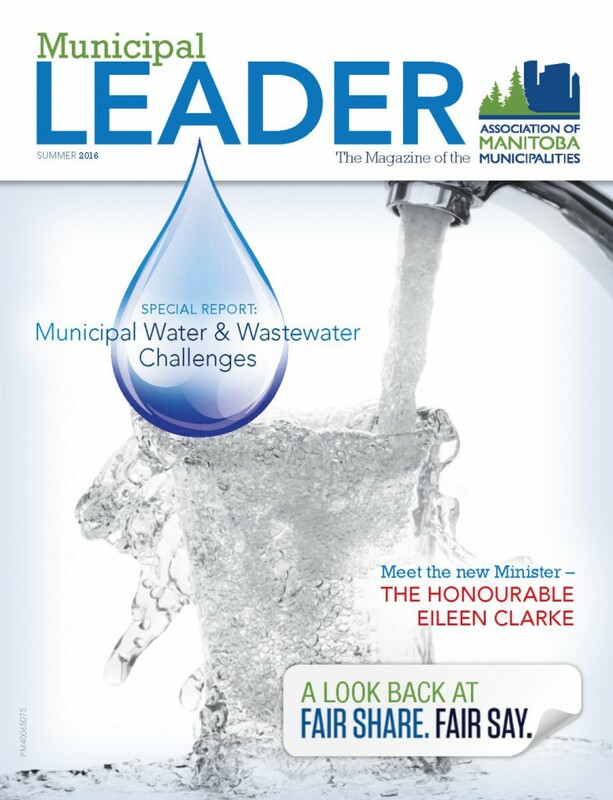 The former Wastewater Treatment Division Manager is a fitting choice for this issue’s Municipal Profile, within our Special Report as it tackles the municipal water and wastewater challenges facing municipalities. From water source challenges, to drinking water quality, to water and wastewater treatment, to the oft-discussed regulations and costs – we’ve got the topic covered. Most important, the information comes both from the experts in the field and those ultimately responsible for what comes out of the tap – municipalities themselves.